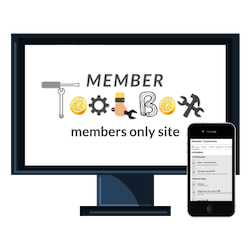 WELCOME TO YOUR MEMBER TOOLBOX! Watch the quick video above and then click the button below to jump straight in and start making yourself at home. You’ll also find a handy tutorial on your dashboard to help you get started. Keep an eye on your inbox for emails with new meal plans and juicy Members’ Only content - In fact, why not go ahead and whitelist the email address hello@andreanordling.com in your inbox to make sure you get them.